Neptune City introduced three ordinances this week dealing with the purchase of generators for municipal buildings and a 4-wheel drive tractor for the Department of Public Works. Under the measures the borough would appropriate $175,000.000, less a $93,000 FEMA Hazardous Mitigation Program Grant for the purchase of the generators, which are expected to last 15 years according to the ordinance. “It takes a lot of work, a lot of paperwork, a lot of bookkeeping on our department heads and that’s why we’re ably to do this,” said Mayor Robert Brown. The council also approved the introduction of the purchase of a 2015 4-Wheel Drive tractor appropriating $70,000. The new tractor will replace the Department of Public Work’s current tractor from 1980 and is used for various jobs around the borough including the raking of Memorial Park beach. 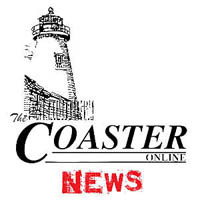 The Borough Council also approved the introduction of the second phase of revitalization of Memorial Park and Memorial Beach, which includes a 560-foot boardwalk, handicap ramp access to the beach and stair access to the beach. The first stage of revitalization of Memorial Park was completed last year with the installment of the new bulkhead. The total appropriated sum is $250,000, which includes $151,900 from a Community Development Block Grant. Brown addressed a question from the audience regarding the ability to swim at Memorial Park, which is not allowed because of the Department of Health. “However, with the improvements beings made and dredging of the channels, hopefully we can go back to it (swimming),” said Brown.